You may have tried implementing behavior modification for your aggressive dog, but you may find yourself stuck with your dog barely progressing or actually regressing, why is that? There can be several explanations for this, and often you'll need to do some troubleshooting in order to find out what is going wrong. Often, all it takes is recognizing a little mistake, for things to go smoothly again, but at times, you may need to do much more. For starters, behavior modification for aggressive dogs is something that takes time. Dogs who have rehearsed aggressive behavior for years will not automatically develop an angelic halo over their heads within a week, and often, not even within one month. Aggression is often self-reinforcing behavior that can almost get addictive at a chemical level. James O' Heare in his book "The Canine Aggression Workbook" explains how a dog's brain is flooded with chemicals such as adrenalin, cortisol and endorphins which can be addictive making the aggression reinforcing. But there's more to this. Often at an operant level, the dog may find aggression reinforcing if it functions to send an unwanted trigger away. For instance, if your dog uses an aggressive display towards people on bikes, and those people on bikes move away, he'll feel that his behavior "operated," and therefore, functioned to send those people on bikes away, providing him with a sense of relief. This makes it more and more likely for him to elect to use this strategy in the future. In order to work on dog aggression using behavior modification, you will need to have the following elements on your side. *Note: by clicking on the hyper links, you can learn more about these elements. 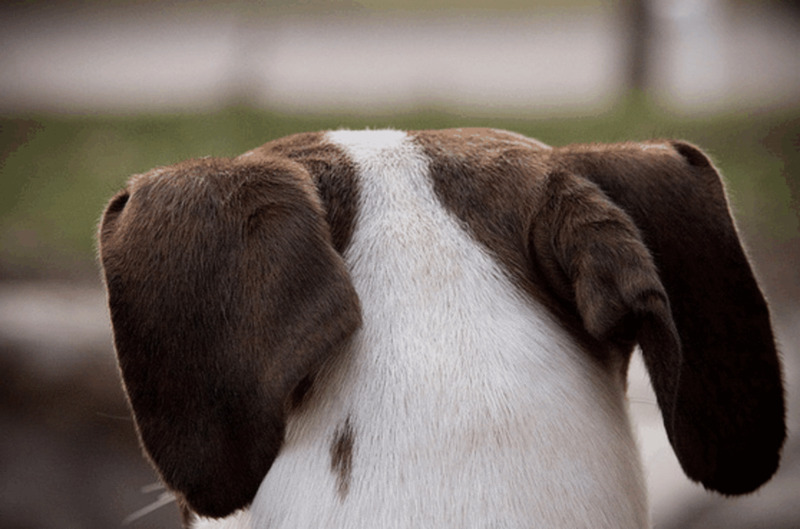 In this article, we will sepcifically address the latter, things that can go wrong so you can troubleshoot and hopefully find the underlying issues that is contributing in failing your dog from progressing. We all want our dogs to succeed, but at times, when the elements aren't balanced correctly things may not progress as desired. In the next paragraphs, we will discuss in details, things that may go wrong. Is your dog too close for comfort? This checklist will hopefully help you find what may be the missing link to the chain of events you are planning to change. Miss that link, and things may start crumbling under your feet, causing much discouragement and frustration. At the same time, this checklist may also be helpful to those who are starting behavior modification for dog aggression and want to learn about potential pitfalls. This is often the most common problem when applying behavior modification. Many feel enthusiastic by the results attained and think "let me just try to get a little bit closer... " and then they get a set back. Your dog may be doing well with dogs at 50 feet so you may feel compelled to progress to 30 feet in the same day.Yet, your dog is not ready for that close of an encounter yet, so he suddenly lunges and barks. Desensitization and counterconditioning needs to take place slowly. If you had fear of public speaking, most likely you wouldn't want to go from speaking in front of 2 people to then speaking in front of 10! Doing so may cause a set back and make you more fearful of future public speaking! 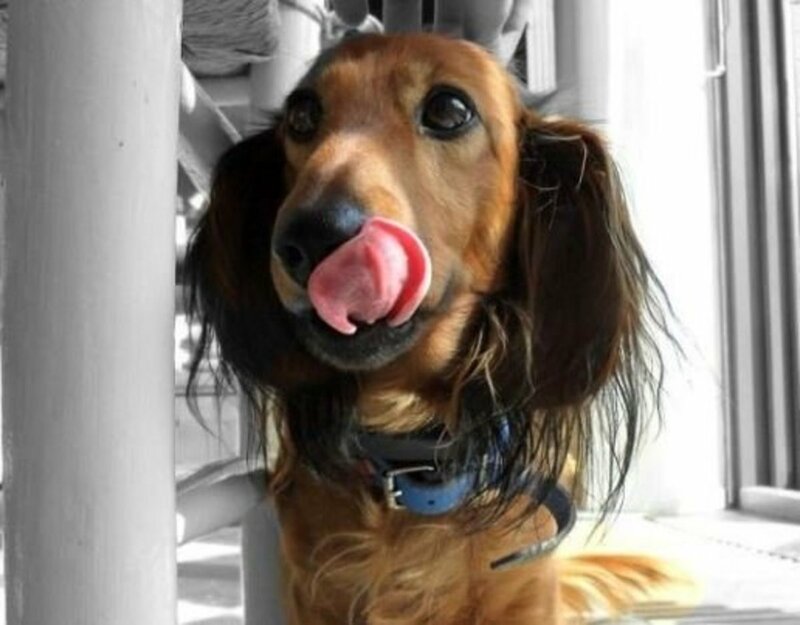 As mentioned, reactive behaviors are reinforcing, so you'll need to find treats that will be far more reinforcing so your dog chooses to take treats rather than engaging in aggressive behaviors. Prong collars, choke collars and shock collars, have the potential to exacerbate aggression as the dog learns to associate its triggers with an unpleasant sensation and these tools only work to suppress outward manifestation of aggression without addressing the dog's emotions. A preferable tool is afront-attachment harness which reduces a dog's opposition reflex and teaches a dog how to walk calmly on a leash leash. Read my hub on why I love, love, love these harnesses by clicking this link on front-attachment harnesses. Your dog needs to trust you and you can accomplish this by not allowing anything bad to happen. If your dog is fearful of strangers, tell strangers not to approach. Move yourself between the stranger and your dog, so you act as a safety buffer, suggests James O' Heare. You can establish a safety history while preventing rehearsal of aggressive behaviors by managing your dog and controlling the environment. If you know your dog reacts to dogs behind a fenced yard, avoid that for some time until you can gradually desensitize/countercondition hom and teach him alternate behaviors. If your dog is reactive towards other dogs and there's a person walking a dog too close for comfort, make an about turn before he turns reactive. This requires constant scanning of the environment. You can also put the action of turning around on cue by training the Emergency U-turn. To implement good behavior modification, you will need to recognize signs of stress so you can successfully work your dog under threshold. If your dog doesn't want to take treats, is unresponsive and is too worried, he cannot cognitively learn. You'll need to work more gradually, taking one little step at a time. Are you tensing up? Try your best to stay calm. Go on a jog with your dog in an area where there are rarely triggers so you will be both more relaxed when going on walks. Try taking deep breaths, don't make your dog feel tension on the leash by tightening it up more than needed. For many dogs, that action of tightening up the leash becomes a cue that trouble is coming, making them more hyper vigilant. Your leash can be kept short but still loose. Are you training alternate behaviors? Try to train your dog incompatible, alternate behaviors to replace the unwanted lunging. "Watch me" is a great verbal cue to ask a dog upon spotting a trigger. Did your dog see a veterinarian? In some cases, reactive behaviors may be triggered by some underlying medical condition such as hypothyroidism or underlying pain. For more on this read "medical causes for dog aggression." Are you working along with a professional? If you are not, you may be missing some important elements that can be crucial for the outcome of behavior modification. While it's true that nowadays there are ample of books and videos on the subject, consider that there's nothing like having a professional coach you and encourage you in the process. Look for a certified applied animal behaviorist or a board-certified veterinary behaviorist to help you out. Some dog trainers well-versed in force-free dog behavior modification can be helpful too. *Note: in some severe cases, your dog may be way too stressed for behavior modification to prove successful. In these severe cases, your dog may need some calming aids. Your veterinary behaviorist may decide whether your dog may need the help of prescription medications. Some dogs victims of prolonged stress and trigger stacking may also benefit from a cortisol vacation. Disclaimer: if your dog is aggressive, play it safe and see a dog behavior professional for help. Trying things on your own can put you at some risk. By reading this article you accept this disclaimer. This is a great book I often recommend for my clients who are are nerds and love learning more about behavior modification. It's quite on the technical side, but is very thourough and uses scientific principles. Learn how the treat and retreat game may benefit your dog and how to teach it. This game is great for those somewhat reactive dogs who would benefit from some behavior modification. Dealing with a dog with trust issues requires loads of patience and time. If you are persistent though, your investment will be rewarded with a stronger bond and happier dog. Is your dog aggressive towards other dogs? Learn some strategies on changing his emotional response using positive, reward-based methods. Walking an aggressive dog can be stressful for the owner. Often this tension, just travels down the leash causing the dog to become more hyper vigilant. Learn how to walk an aggressive dog. LKMore01, I wish so too! I am in the process of creating a website about the truths of shock collars, they're use is so revolting! Thanks for stopping by Jtrader and the votes up! Good points for worried pet people to consider. Voted up and interesting! Thank you Lorlie, many "dog issues" often get better by changing the dog's emotional response.. I would recommend consulting with a behavior professional; some vets are too quick to suggest putting dogs down as they often had little training in behavior modification. Look for a veterinary behaviorist or a CAAB, best wishes! alexadry, I found this hub on Google+ and had to read it! I have a Queensland Heeler who is terrifying to guests, even family members, yet is in love with me. Though I've not taken him to the Vet except for shots, etc., I've spoken to her endlessly about "Clifford". She's convinced that he considers me his mate, and in fact encouraged me to put him down since he is so aggressive toward my husband, son, and my 3 year old grandson. He's yet to really hurt any of us, but he does 'nip', growl and bark-constantly if I am not around. He is a dear with me, sweet and submissive, but I am loathe to take him on walks at all. This is a wonderful Hub and I appreciate the advice! Good to hear heidthorne that you have seen so much progress! You sound like a very dedicated owner. Thanks for stopping by! Whether it's aggression or other unwanted behaviors, professional help, patience and persistence are so critical. I remember thinking my one rescue would never get over his quirks on the walks. Now he's one of my star loose lead walking dogs. Great hub. I wish that all dog owners would read this. Sharing!! Truthfully, I wish they would outlaw shock collars all together. Excellent informative, concise. Dog aggression can be so misunderstood, alexadry. Thank you for our further education with your well researched article.